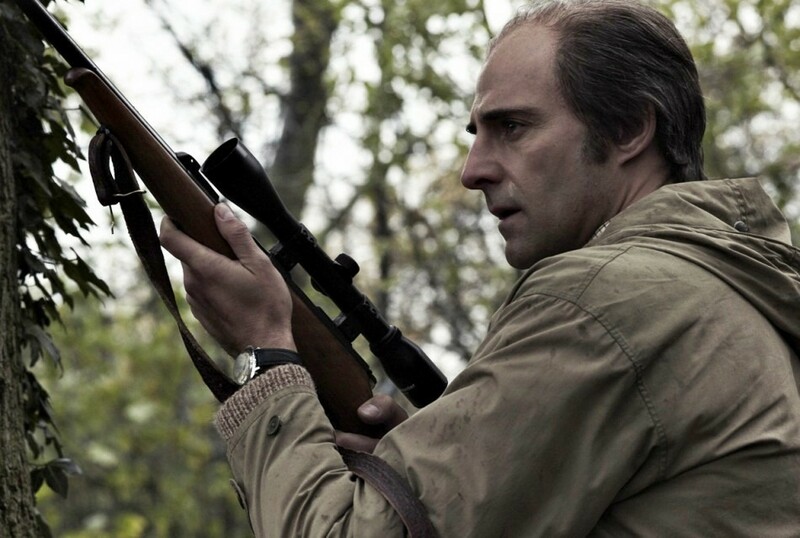 Tinker Tailor Soldier Spy is a 2011 Oscar-nominated Spy Fiction film directed by Swedish movie-maker Tomas Alfredson. Tinker Tailor Soldier Spy is an adaptation of a 1974 espionage novel—fifth in the ubiquitously renowned ‘Smiley’ series—of the same name by British author John le Carré, featuring his greatest creation and one of spy fiction’s most supreme caricatures: the veteran spy, George Smiley. Tinker Tailor Soldier Spy stars versatile British actor Gary Oldman in the role of George Smiley. In the le Carré novels, the British Intelligence is often cheekily referred as “the Circus”. In the Circus jargon, the chief of the British Intelligence is referred as ‘Control’. The movie adds a whole new dimension to Spy fiction by presenting a plot that’s high on substance vis-à-vis style. 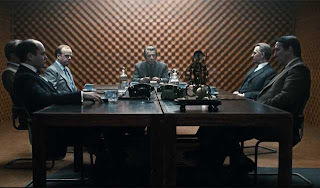 Tinker Tailor Soldier Spy’s convoluted characters and intricate plot serve to be a delectable feast for the insightful espionage lovers who are often bored to death by the banal and flimsy plots of contemporary spy thrillers. The use of dark humor that relies heavily on irony—a signature of contemporary British Cinema—immensely adds to the charm of Tomas Alfredson’s adaptation of the novel. Following a bizarre turn of events surrounding a special mission in Hungary—carried at the behest of Control to uncover the mole in the Circus—in which agent Jim Prideaux (Mark Strong) is shot by agents of Hungarian intelligence, Control (John Hurt) and his most-trusted ally George Smiley are forced into retirement. Subsequently, Control dies of poor health and his theory about the long-term presence of a Russian mole in the highest echelons of British Intelligence remains uncorroborated. It‘s worth mentioning that it is Control who assigns the code names “Tinker,” “Tailor,” “Soldier,” “Poorman,” and “Beggarman,” to the five top Circus officers under suspicion of being a Soviet spy. The names are derived from a popular English children's rhyme. Following Control’s exit from the Circus, Percy Alleline (Toby Jones) is elected as the new chief, with Bill Haydon (Colin Firth), Roy Bland (Ciaran Hinds), and Toby Esterhase (David Dencik) as close allies. Alleline and his group are able to assert their supremacy by gaining access to a highly-classified Russian intelligence by means of a covert operation called “Witchcraft”—of which both Control and Smiley were highly suspicious before being ousted from the Circus—for which they are able to get a carte blanche from the British Home Ministry. This classified material in turn is being shared with the Americans, in exchange of valuable US intelligence. 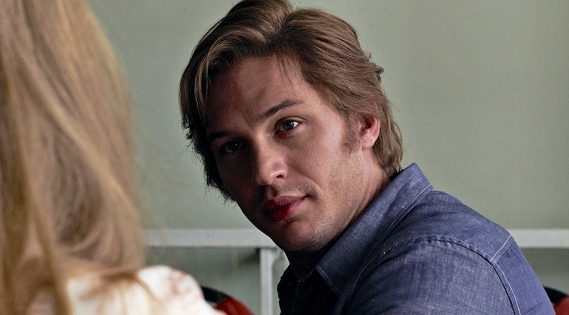 In order to investigate the allegation of a field agent, Ricki Tarr (Tom Hardy), alluding to the presence of a mole in the Circus, a suspicion earlier raised by Control, George Smiley is called out of retirement by Oliver Lacon—the civil servant who is in charge of British Intelligence. 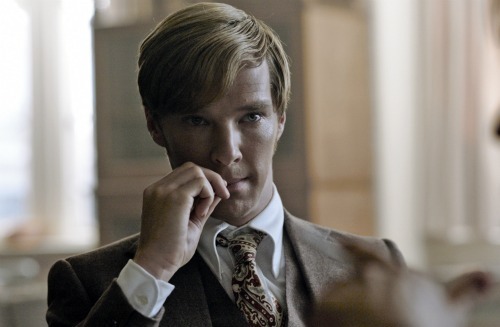 Smiley handpicks Peter Guillam (Benedict Cumberbatch) as his subordinate and begins his surreptitious investigation. 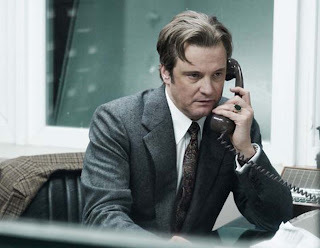 Disclosing any further details about the plot would be an injustice not only to the movie but also to the viewer, for the true charm of a spy thriller, and more so a thinking man’s thriller like Tinker Tailor lies in the intricacies of the plot and the element of surprise associated with it. However, the element of surprise that Tinker Tailor Soldier Spy holds prima facie appears to be quite subtle, but gradually grows on the viewer, more so on repeated viewings. The movie, being faithful to John le Carré’s caricature, depicts Smiley as a laconic, middle-aged spy with supernal intellect and above-par acumen that's well complemented by his great gifts of composure and perseverance. Smiley is known to possess the perspicacity to see clues that others often overlook and in turn use them to derive conclusions that others cannot. Smiley is relentless in his pursuit and is not daunted by repeated setbacks even if they are in form of personal sacrifices. He willingly endures them in order to keep his pursuit purposeful. In his conscious attempt to pen down a caricature of an espionage artist who lacks the charm, romanticism and heroics of Ian Fleming’s James Bond, le Carré seemed to have created a whole new identity (in form of Smiley) in the Spy genre—a kind of anti-Bond that cannot be confused with the larger-than-life espionage caricatures like the 007. In Tinker Tailor Soldier Spy, George Smiley is pitted against arguably his greatest arch-nemesis, Karla—the jingoistic Head of Soviet Intelligence. Gary Oldman, in his Oscar-nominated portrayal, effortlessly lives through the caricature of George Smiley, a caricature that seems absolutely tailor-made for him. In fact, it wouldn’t be a hyperbole to say that no other actor alive could have fit in the shoes of le Carré’s master spy better than Oldman. Tinker Tailor Soldier Spy covers a phase in Smiley’s life where he is going though a tough period in his married life, with his wife involved in an extra-marital affair with one of his fellow comrades at the Circus. Smiley, being a paragon of patience and perseverance, manages to focus on his professional duties while trying to delay the inevitable on the personal front. Oldman brilliantly takes care of the subtleties and nuances needed to portray a taciturn like Smiley, often underplaying himself so as to perfectly fit into the caricature. Oldman is well supported by a great assemblage of cast that includes the likes of John Hurt, Colin Firth, Tom Hardy, Mark Strong, Toby Jones, and Benedict Cumberbatch. Cumberbatch appears in a completely different avatar as Smiley’s protégé, Peter Guillam, after his remarkable stint as Sherlock Holmes in the highly acclaimed British Television Series: Sherlock. Tinker Tailor Soldier Spy, for the most part, serves to be a mishmash of subplots that serve as clues for the final master-puzzle. Tinker Tailor Soldier Spy has a slew of memorable sequences that provide the real impetus to the movie. In fact, this critic would be remiss not to mention a few of them. Undoubtedly, the most effective has to be the monologue delivered by Gary Oldman in which he gives an account of his [Smiley’s] only meeting with the Soviet fanatic and his arch-nemesis, Karla. The rare intensity and a feeling of repentance (on his remissness in dealing with a fanatic like Karla) that one gets to see on Smiley’s face reflects the true passion that stays hidden behind his perpetually poker-faced countenance. In my personal opinion, the very scene is worthy of an Oscar statuette. The second sequence that this critic really liked is the one in which Jim Prideaux tries to alleviate his solitude by chatting with an estranged school kid. It’s indeed fascinating to see the kind of warmth that develops between two absolute strangers, belonging to completely different age groups. The third favorite is the montage sequence that depicts Riki Tarr’s romantic association with Irina—the beautiful wife of a Soviet agent. 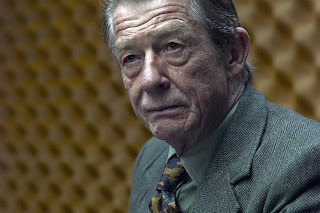 Tinker Tailor Soldier Spy’s true power as a cinematic extravaganza is truly reflected in its finale. The movie’s mesmerizing climactic sequence featuring Jim Prideaux and Bill Haydon has a poetic feel and elicits an entire gamut of human emotions—that’s worth more than a thousand words—even without an utterance of a single syllable. Overall, Tinker Tailor Soldier Spy succeeds in reinventing the Spy Fiction genre on the celluloid by presenting a tale that’s not only high on entertainment value, but also has the power to woo the intelligent audience. In fact, Tomas Alfredson's adaptation comes close to matching the brilliance of the supernal 1979 TV series starring legendary Alec Guinness as George Smiley. Alfredson's meticulous direction is well complemented by Hoyte Van Hoytema's detailed cinematography and Dino Jonsater's editing; Alberto Iglesias' poignant music brilliantly adds to the beauty of the movie. The movie serves to be a thinking man’s thriller that has something for almost everyone: be it gore, suspense, intrigue, or even eroticism. Highly recommended! Gary Oldman undoubtedly deserved an Oscar for his portrayal of George Smiley. It was really nice to see Benedict Cumberbatch in a low-key role. I simply can't wait to once again witness Oldman play Smiley in subsequent adaptions of le carre's espionage novels. Thanks for sharing your opinion! I myself cannot wait to see him reprise his role. Great review! I thought this was a great movie that was too overlooked last year. Gary Oldman really should have won the Oscar for this. Thanks Alex for sharing your valuable opinion! 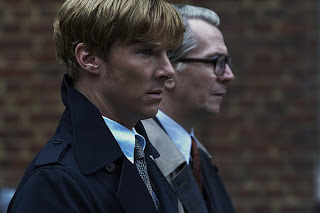 I am totally with you on that one... Oldman's performance in Tinker Tailor was undoubtedly worthy of an Oscar statuette. Espionage and spy movies are always ones which keep us on the edge of our seats (if they're good one, that is). Thanks a ton, Vishal! 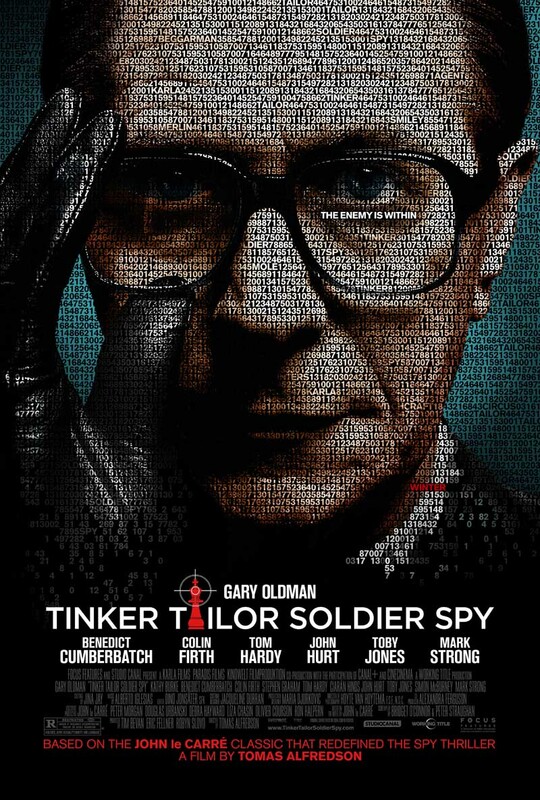 Tinker Tailor Soldier Spy was undoubtedly one of the best movies of last year... Gary Oldman was simply sublime in his effortless portrayal of George Smiley. Thanks once again for sharing your valuable opinion!!! Another great review of a great film. Brilliant film and thorough review that justifies how brilliant the film is. Here is what I thought about the film.